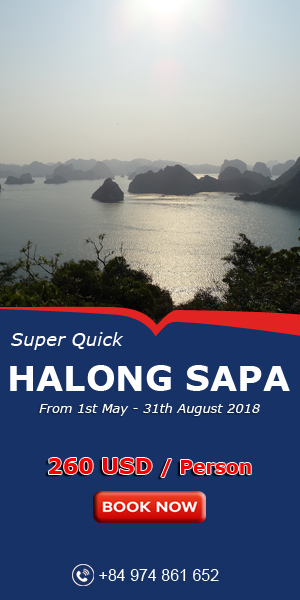 Like most other Asian nations, Viet Nam welcomes the New Year according to the lunar calendar, and Tet Nguyen Dan (Lunar New Year Day) is the most important festival of the year. Among the numerous offerings that are required to decorate ancestral altars during the traditional New Year, a five-fruit tray which cannot be missed in Tet holiday is the symbol for the admiration and gratitude of the Vietnamese to Heaven and Earth and their ancestors to express their aspiration for prosperity, good luck, good health and happiness. The custom of preparing a five-fruit tray derives from that the five fruits are symbolic of the five basic elements of the Oriental philosophy: metal, wood, water, fire, and earth. It is also believed that these five fruits are symbols of the five fingers of a man’s hand that is used to produce physical wealth for his own use and to make offerings to his ancestors. In a simpler way; however, the fruits represent the quintessence that Heaven and Earth bless humans. This is one of the general perceptions of life of the Vietnamese, which is “When taking fruit, you should think of the grower”. 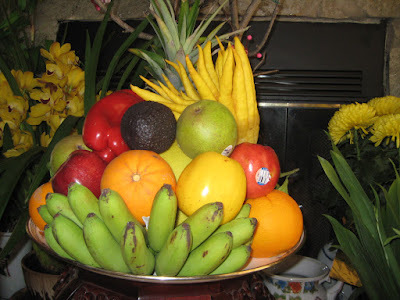 With that special meaning, no matter whether the rich or the poor, on New Year’s Eve, Vietnamese people always select the best five-fruit tray for the holiday. What kinds of fruit are included in the tray varies from one region to another due to their differences in climate and fruit crops. 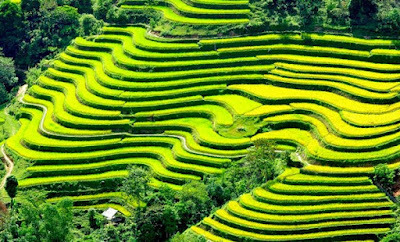 In Northern Vietnam: The fruits must be carefully selected and well organized on the tray to create the beautiful effect of blending colors. Five-fruit tray in the North often has: banana, pomelo, peach, mandarin, and persimmon. The traditional way to display them is putting a bunch of bananas in the bottom to create a frame; putting a pomelo on top of the bananas; other fruits are organized around. Families sometimes can put more than 5 fruits onto the tray to make it more abundant like: grape, chilly, apple, etc. In the central of Vietnam: Unlike choosey Northern people, people here don’t pay much intention on the visual of the tray. Instead, they think it is people’s sincere gratitude towards their ancestors that matters the most. That is why the five-fruit tray in the central of Vietnam usually features local fruits, and differs among families. Most popular fruits here are: Dragon fruit, watermelon, pinapple, and orange. 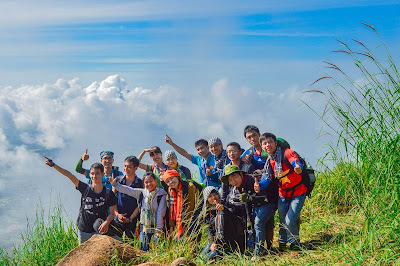 In the Southern Vietnam: Southern people has a very popular wish for a wealthy New Year: “Cầu sung vừa đủ xài”. So, they use the fruits that have names consist of 5 words in that wish to display on the tray. For example: papaya-“đu đủ” (has the word “đủ” in the name) is one of the 5 chosen fruits. The other 4 are: coconut, fig, mango, and custard apple. Besides, people often display pineapples and two watermelons on the altar to wish for luck. Although five-fruit tray’s preparation varied among regions, the utter meaning of showing gratitude to ancestors stays consistent throughout the country. 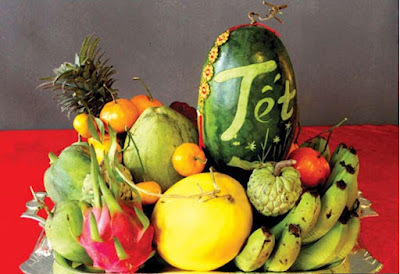 Nowadays, much improved living standard of the people has led to a greater sophistication in choosing fruits for the altar for the Tet. A tray can contain more expensive, rarer fruits like grapes and pears, regardless of that, it is still a five-fruit tray, a nice offering of the Vietnamese people to their ancestors. How to display the fruits on the tray is also very important, which not only makes the tray more attractive but ensure the balance as well. Normally, the hand of bananas is usually placed in the middle of the tray with the bananas pointing upright and the pomelo on the concave surface of the hand of bananas. 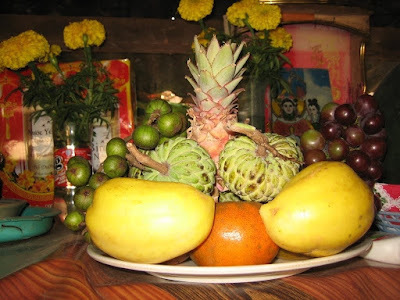 Then people put the oranges, sapodilla plums, apples in the gaps between the bananas and the pomelo. The last little gaps are filled in with little kumquats to create a full, compact tray of fruits. 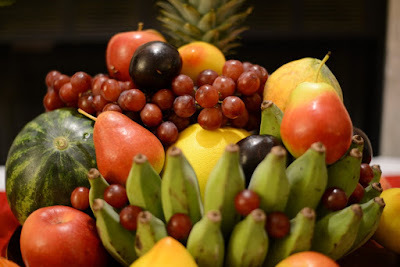 To the color factor, the fruit tray presents a harmonious combination of the different colors of fruits: dark green of banana, light yellow of pomelo, deep red of persimmon, reddish yellow of orange and kumquat, light green of apple, and dark brown of sapodilla plum. To complete the picture, the fruit tray will be covered here and there with some small, fresh leaves of kumquat. 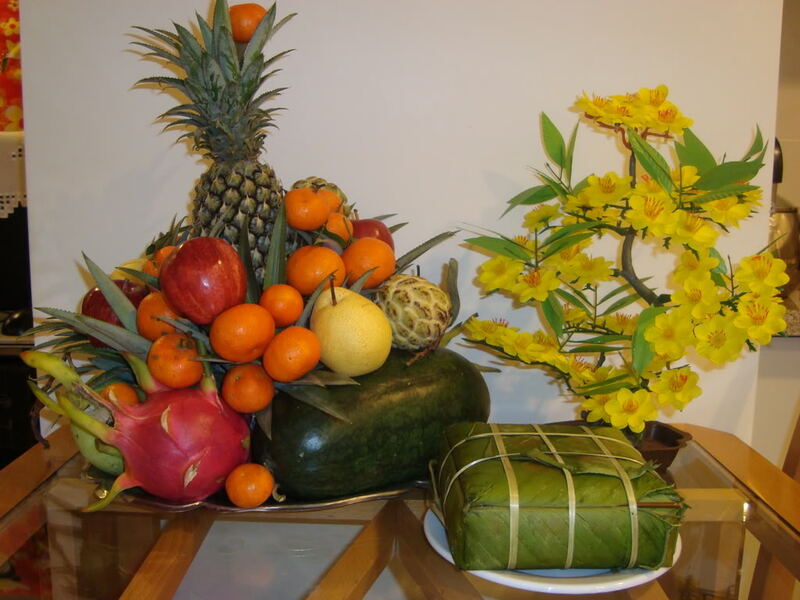 At present, while many ancient spiritual values have disappeared, the custom of arranging the five fruit tray on the altar during the lunar New Year days is being preserved as a fine legacy of Viet Nam's traditional culture. 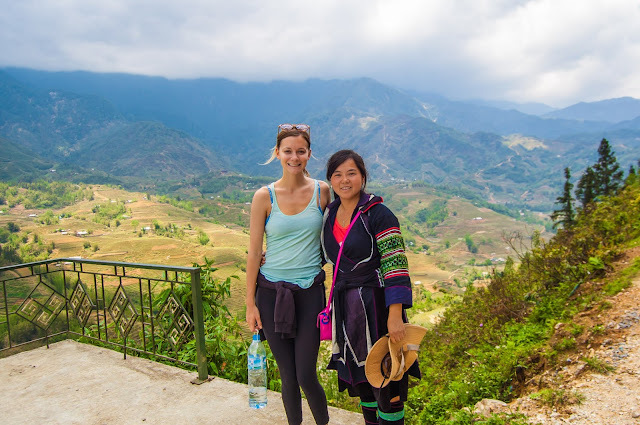 Traveling Vietnam during the Tet holidays, I believe you will have experiences great to know more about the traditional customs of the Vietnamese.